Sunday, July 01st was a wonderful day of faith, celebration and joy in the Catholic Parish of Hastings / Te Pārihi Katorika ki Heretaunga. 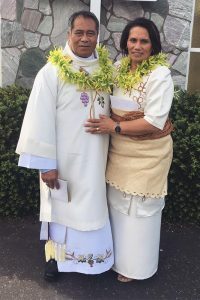 Tevita Fakaosi was ordained to the permanent diaconate at the Sunday Mass in the Church of St Peter Chanel. The multicultural aspects of the liturgy reflected the community of Hastings. Boys from St John’s College processed the Gospel to the lectern, the altar was clothed in tapa, the uplifting hymns used many languages and the clergy all were bedecked with lei. But most impressive was the feeling of unity and joy among all gathered; a sure sign of the presence of the Holy Spirit. The day was completed with a great hākeri in which the whole community joined in food, song and friendship. 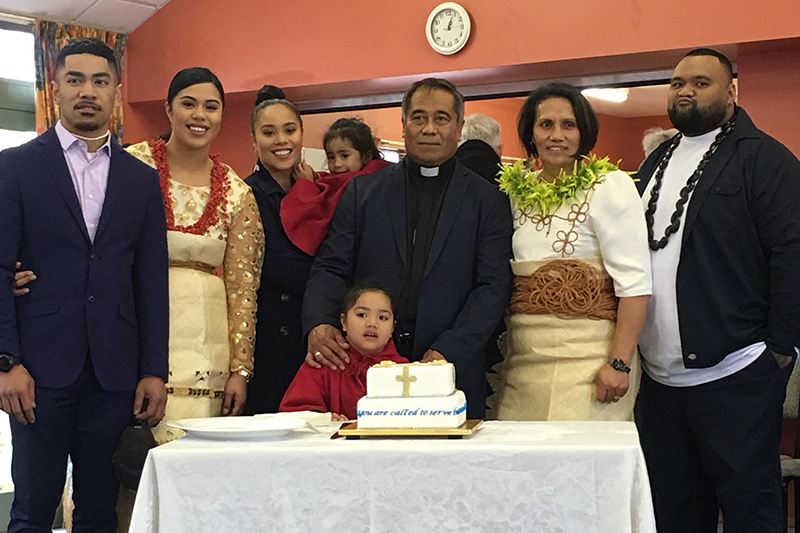 Bishop Charles thanked Ave, Tevita’s wife, and their family for supporting Tevita in his generous response to God’s call to be a man of a sacred service to the people of the Hawkes Bay.